Born in San Jose, California in 1955, Tommy Castro first picked up a guitar at age 10. He fell under the spell of Eric Clapton, Elvin Bishop, Taj Mahal, Mike Bloomfield and other blues-rockers. As he got older, Castro discovered the bedrock blues of Muddy Waters, B.B. King, Freddie King, Buddy Guy, Elmore James and the deep-rooted soul of singers like Ray Charles, Wilson Pickett and James Brown. By his teenage years, he was regularly heading to San Francisco to see his favorite artists at legendary venues like The Fillmore West and Winterland. He began playing in a variety of Bay Area blues and soul bands in his early 20s, making a name for himself as a hotter than hot live artist. 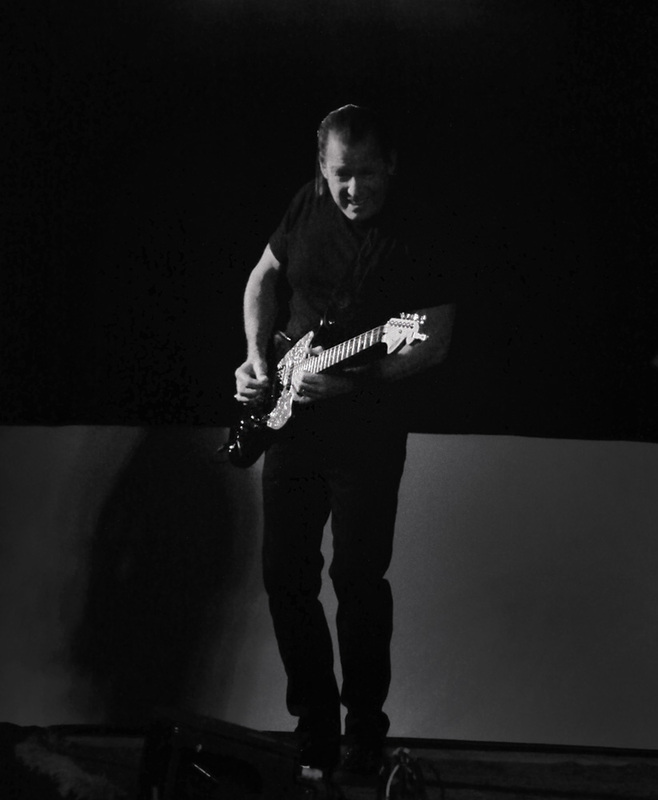 In 1985 he became lead singer and guitarist for the locally popular blues band NiteCry, and began gigging regularly throughout Northern California. Castro joined Warner Brothers’ artists The Dynatones in the late 1980s, gigging all over the country. He formed the first Tommy Castro Band in 1991, releasing his debut albumin 1996 on Blind Pig. He hit the road hard, picking up new followers everywhere he went. In the mid-1990s The Tommy Castro Band served as the house band for three seasons on NBC Television’s Comedy Showcase(airing right after Saturday Night Live), bringing him in front of millions of viewers every week. During the 1990s and into the 2000s, Castro released a series of critically acclaimed CDs for Blind Pig, Telarc and 33rd Street Records, as well as one on his own Heart And Soul label. cheering his every move. Castro had stripped his music down to its raw essence with the new, smaller band, sounding bigger than ever. 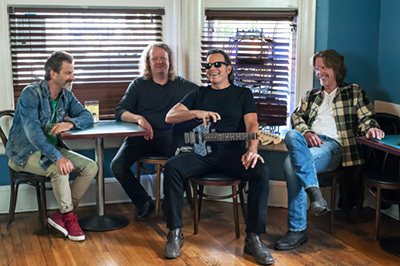 On record and on stage, Tommy Castro & The Painkillers’ road-hardened, seemingly telepathic musicianship bring an unmatched passion to Castro’s blue-eyed California soul and hard-rocking, good-time songs. 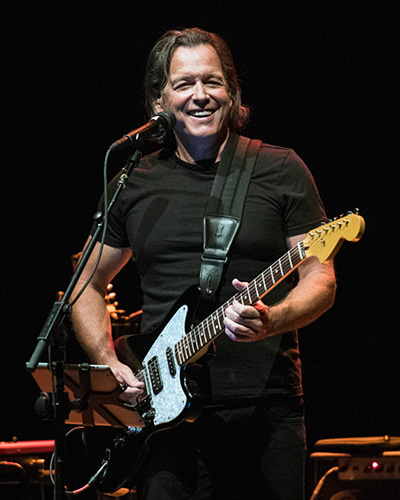 His hometown newspaper, The San Francisco Chronicle, describes Castro’s music as, “funky Southern soul, big city blues and classic rock…silvery guitar licks that simultaneously sound familiar and fresh.” With months of tour dates across the U.S. and Europe, Tommy Castro & The Painkillers will be bringing the songs from their new album directly to their fans. 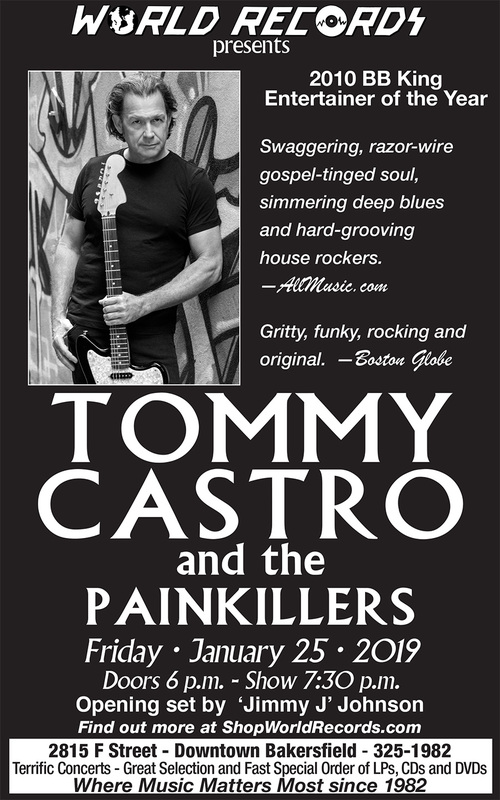 No Depression says “Castro plays gritty, string-bending blues like a runaway soul train…a glorious blend that rocks the soul and lifts the spirits.” Blues Revue says simply, “Tommy Castro can do no wrong.” With Stompin’ Ground, he is clearly, once again, doing everything right.